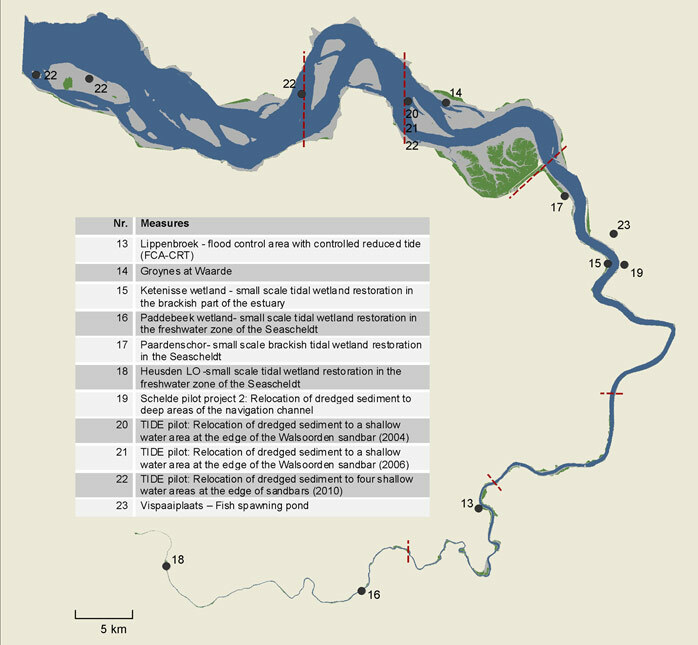 In total, 39 measures planned or implemented at the four TIDE estuaries were collected (Table 22). Table 22: Overview on measure examples collected, analysed and compared with indication of short titles and status. The full measure titles can be taken from annex 10.4. The majority (64%) of measure examples aims at biological and ecological development targets. Approximately one third (29%) was assigned to the measure category ‘Hydrology/Morphology’. Only three measure examples belong to the measure category ‘Physical/Chemical Quality’ (Table 23). A detailed list can be taken from annex 10.5. 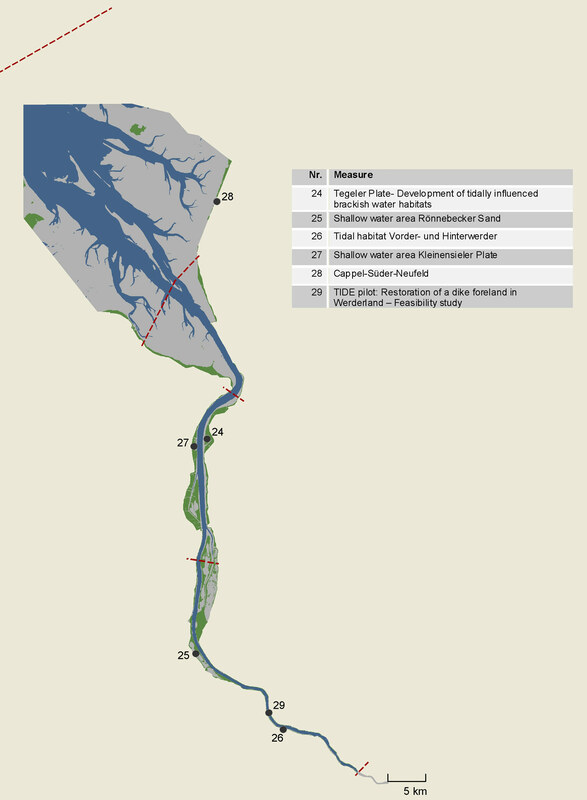 Since the choice of measure examples to be included in the study was left to the members of the TWG measures, the results of the measure collection as compiled in table 22 only show a small part of the totality of measures planned and implemented at the four TIDE estuaries. 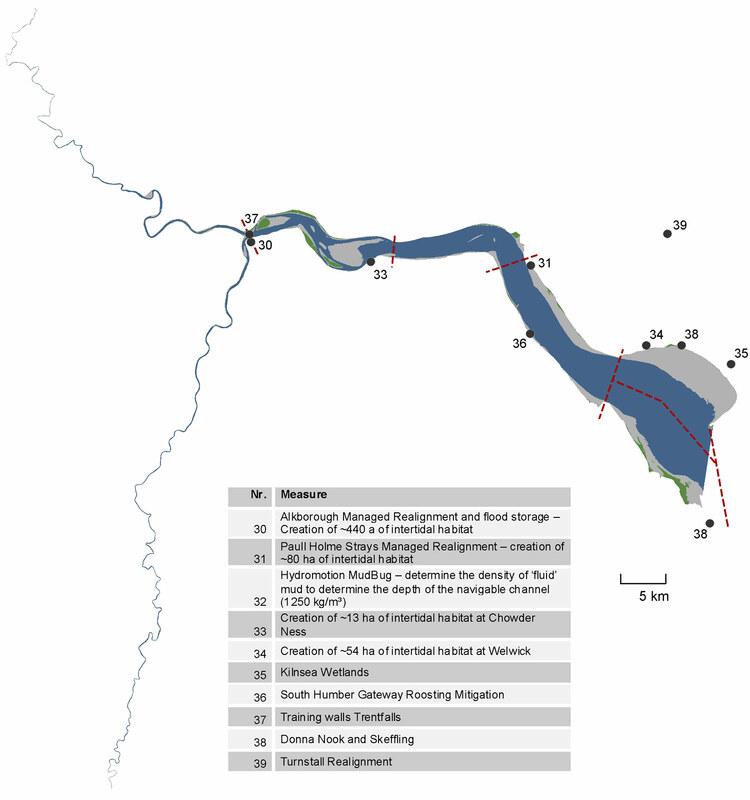 Additionally, the choice of measures seems to depend on the organisation the respective working group member represents and the connected availability of measure examples: Since the representatives of NLWKN (Weser) and EA (Humber) as organisations in charge of nature conservation and water quality concerns mainly introduced measure examples aiming at biological and ecological development targets, the measure examples introduced by representatives of port authorities (Elbe and Scheldt) belong in almost equal parts to the categories ‘Biology/Ecology’ and ‘Hydrology/Morphology’. Table 24 shows the measure distribution along the TIDE estuaries according to the estuary zones. 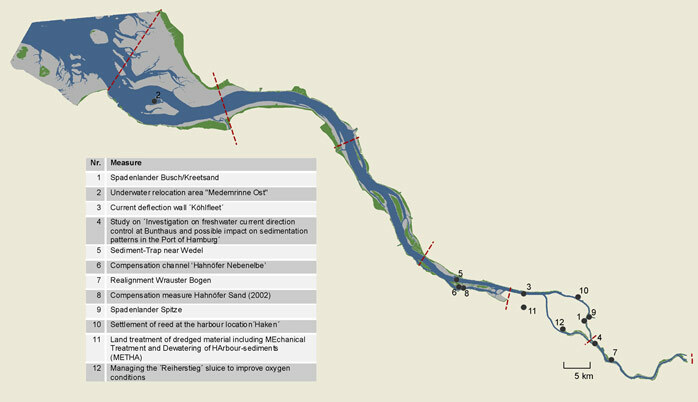 Figure 7 shows the location of the measure examples collected in the area of the Elbe estuary. Maps showing the measure locations for all TIDE estuaries can be taken from annex 810.6.